It is the hottest summer weekend this year. Spending the lazy days at Starnberger Lake close to Munich and sitting on the balcony in the early morning hours with some coffee and books. 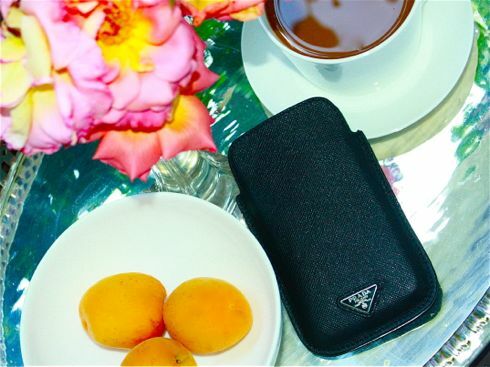 The PRADA iPhone case tops the mood off. ….. für 4 oder 3gs? weil es so rundlich aussieht … deswegen die Frage.